As we close in on the much-anticipated release date of the 1.0 specification, Alliance members will be going global to Las Vegas for CTIA Super Mobility Week and to the Nokia campus in Paris-Saclay, France for the MulteFire Alliance Open Day and Technical Workshop. CTIA Super Mobility Week 2016 will take place September 7-9 in Las Vegas, Nevada. This event focuses on mobile innovation, reimagining and redefining every part of daily life – from the office to home, networks to retail, health and auto. Experts from across the wireless ecosystem, including the MulteFire Alliance, will be onsite to help define the future of wireless. The MulteFire Alliance will showcase technology demonstrations from Alliance members Athonet, Nokia and Qualcomm in our booth #3937 in the Tower & Small Cell Summit area. We will also be hosting 1:1 meetings to share details about MulteFire’s high performance capabilities, enhanced coverage and LTE-like performance in the unlicensed spectrum. Alliance members will also participate in the Tower & Small Cell Summit panel, Wi-Fi and LTE Coexistence in Unlicensed Bands: Carrier-grade Wi-Fi, Mobile Offload, Hotspot 2.0, LAA Networks and MulteFire, Thursday, September 8, from 4:00-5:00 p.m. in San Polo rooms 3401-3501 of the Sands Expo. The panel will be moderated by Randall Schwartz, Wireless 20/20 and will feature MulteFire Alliance members: Art King, Director of Enterprise Services & Technologies, SpiderCloud Wireless; Jim Rydberg, Head of Solutions Architecture, Small Cells, Nokia; and Neville Meijers, VP, Small Cells, Qualcomm Labs. Please contact us if you are attending CTIA and would like to request a meeting. Across the pond, and also on Wednesday, September 7, the MulteFire Alliance will be hosting a MulteFire Open Day and Technical Workshop at the Nokia facilities in Paris-Saclay, France. This half-day event offers mobile operators, enterprise, cable operators, venue owners and end users an opportunity to learn more about the benefits of MulteFire technology through panel discussions, technical sessions, product demos and a networking reception. The technical workshop will provide insight into the MulteFire specification, Release 1.0 that is currently under way, along with deep-dive sessions into MulteFire’s end-to-end architecture, neutral host capabilities and radio link. If you would like to attend the MulteFire Alliance Open Day and Technical Workshop on September 7, please RSVP today. We hope you are able to meet with the Alliance at one of these exciting upcoming events. We look forward to sharing more about what is to come for MulteFire. Mazen Chmaytelli serves as LTE Unlicensed Business Development lead for Qualcomm Technologies, Inc. In this role, Mazen oversees the continued evolution of LTE-based technology for unlicensed spectrum (LTE-U / LAA / MulteFire) strategy globally. As of June 2016, Mazen was also appointed as the MulteFire Alliance President. In this role, Mazen is responsible for the overall functions of an industry organization and functioning business within BoD-set policy frameworks. Managing the global ecosystem and operations for MulteFire to support development of technical specifications, certification programs, and coordination with related industry groups and regulators. Mazen has over 20 years’ experience across all major wireless telecommunications technologies and a broad range of expertise in areas including business development, business negotiations, product management, new product development and technical marketing. 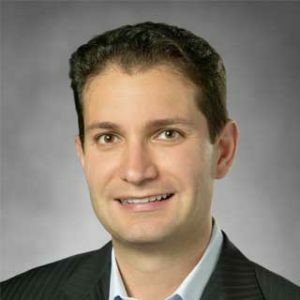 Mazen has also held several other positions for Qualcomm including product management for mobile devices, EV-DO technical marketing, BREW/uiOne product management, FLO Technologies business development, head of LTE Broadcast (eMBMS) business development and product management, and Small Cell business development lead for worldwide operators. Mazen is a registered professional engineer in the State of California, a Senior IEEE member, a registered attorney with the California Bar, and a registered patent attorney with the USPTO. As an inventor, he holds 37 USPTO issued patents covering a range of telecommunications and software designs. Mazen has a B.S. and an M.S. degree in Electrical Engineering from the University of California – Los Angeles (UCLA) and holds a Juris Doctor degree from the University Of San Diego School Of Law. The goal of SON – Self Organizing Networks – is to reduce the amount of human intervention required to integrate, optimize and maintain the network. This is achieved through self-configuration, self-optimization and self-healing: the key words for SON. In a network composed of MulteFire small cells, SON is just as important. Whether in a standalone MulteFire network deployed in an enterprise or in a mobile operator network augmented with MulteFire small cells, SON can help enable effective coordination of the “unplanned” small cell resources. In the unlicensed frequency band, where we have very complex co-existence scenarios, SON can optimize the network and reduce the interference effectively. To meet this need, the MulteFire Alliance has recently formed the SON Work Group (SWG) with the goal to enable simple plug-n-play MulteFire network deployments with optimized performance in unlicensed spectrum. In the SWG, we are defining the typical use cases, requirements and architectures of SON functions for a MulteFire network and will ultimately draft technical specifications for MulteFire SON solutions. As these SON functions will be designed based on the output from the Radio Work Group and the End-to-End Architecture Work Group focused on Release 1.0, we are targeting the inclusion of SON in Release 1.1. We invite all companies with an interest in optimizing small cell networks to join us. Smartphones have been unprecedented in their impact on a wide range of consumers, from end user individuals to global enterprises. When coupled with mobile networks for ubiquitous global coverage and capacity, smartphones have the ability to enable innovation at scale. At-scale innovation relies on the global communications infrastructure. In the enterprise realm, there are a number of factors contributing to wireless connectivity anytime, anywhere. In most corporations, contracted agreements with mobile operators are in place that support the majority of employees; however there can be outliers on other mobile operators’ networks for a number of reasons. For example, BYOD or “bring your own device” policies are becoming more common and enterprise IT staff must be able to support these devices and the spectrum they operate in. In addition, international mobile roamers and their spectrum requirements must be considered. And, finally, “green building” technologies that save energy unfortunately prevent the outdoor cellular network from pushing signals into buildings. In terms of costs, the legacy network solution to support all of these devices and spectrums – Distributed Antenna System (DAS) – is not a viable option for buildings under 500,000 sq. ft. (50,000m2). Although larger venues still use it, they are slapped with reoccurring overhead expenses. What cost effective network solutions are there that can meet the multi-operator demands for the 320,000+ buildings that range from 50,000 to 500,000 sq. ft. in the U.S.? Excellent coverage and capacity, reaching every part of an equipped facility for all mobile devices. Handset families all incorporated with the same MulteFire radio. Harmonized, low-power band(s) for unlicensed sharing across the globe so international roamers are supported just as effectively as domestic employees. Neutral Host capabilities to connect MulteFire to all the mobile operators in a region. Support for both operator PLMN (Public Land Mobile Network) and private authentication of LTE devices. Use of transport technology and infrastructure that the enterprise has already invested in. The MulteFire approach, as it evolves, will become a competitive advantage for enterprises that effectively embrace and exploit it to satisfy the anytime, anywhere demands of mobile business customers. I am excited to see how MulteFire’s flexible business models and mobility will lay the groundwork for further innovation. As the Director of Enterprise Services & Technologies, Mr. King leads the development of enterprise services definitions and business case prepositions for customers and partners. Mr. King is a Small Cell Forum Board member and a Vice Chair of the Services Working Group. Mr.
King was formerly the Mobility/Collaboration lead in Global Architecture for Nike Inc. where he held various global roles over 10 years. Prior to Nike, he led the build out of two multinational engineering and consulting organizations for an IP Services network vendor in the service provider industry. Mr. King holds a BS in Computer Engineering from Portland State University.